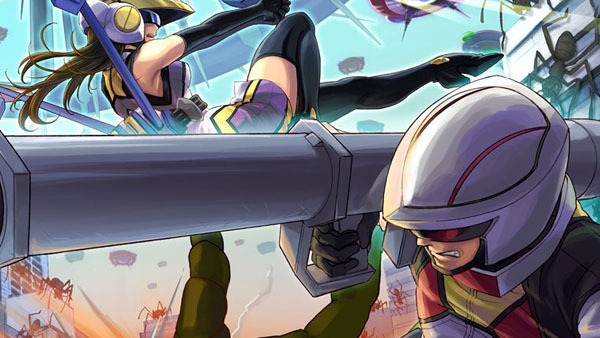 PS Vita update to have Air Raider class, four-player online support. D3 Publisher is bringing Earth Defense Force 2, released in Europe as Global Defence Force, to PS Vita as Earth Defense Force V2, this week’s Famitsu reveals. Due out in Japan this November, the game features higher quality graphics, the new “Air Raider” class introduced in Earth Defense Force 2025, four-player online support, and over 400 weapons. It’s also possible to play every mission in co-op. The standard version will cost 5,200 yen (5,616 yen with tax), and a “Double Enlistment Pack” will cost 6,980 yen (7,538 yen with tax). Watch a trailer from the 2011-released PSP version below.